Okay, maybe not love – but certainly stop worrying about it. Like a lot of people who find horse color fascinating, I once spent no small amount of time online, spreading the Gospel of Proper Color Terminology. Surely if I just presented the facts in a convincing manner, I could save the world from people who were convinced they had palomino Arabians! Fortunately for my own sanity, my career as a parent – begun just a few years after large numbers of horse people discovered the internet – got in the way of my missionary zeal. Toddlers do not recognize the need for uninterrupted bathroom breaks, never mind enough time to compose an extended explanation about why you really should not call your double-diluted cream an albino. Children also raised my threshold for the type of thing that required immediate action. I could live with someone on the internet being wrong; it was not like they had just painted on my bathroom walls with chocolate pudding. And intriguing painting of the early Twentieth Century Turkish Arabian, Übeyyan. How accurate was this portrait? And what color was he? The other downside to spending a lot of time correcting errors is that if you automatically dismiss something, it is really easy to overlook important information. Even when people are wrong, they may still hold a clue, a piece of the puzzle you are trying to assemble. I sometimes get asked why I spend so much time with older documents when so much has changed in our understanding of coat color genetics. Why, for instance, spend time translating Valto Klemola’s 1931 paper on “Recessive Pied” when there are papers written just this year and last on what we now call Splashed White? Surely the new information replaces Klemola’s theory about recessive spotting in horses. 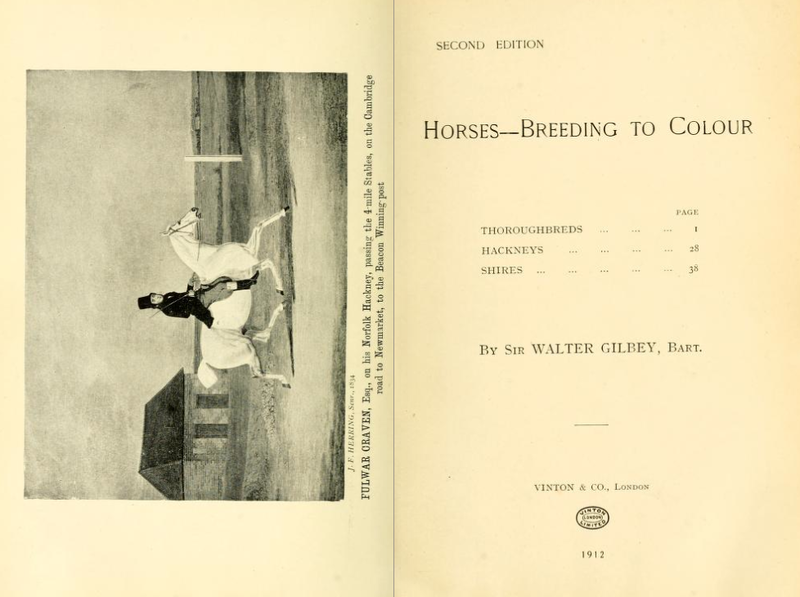 I am sure my husband also wonders why I need books about horse color published in 1912. After twenty years of losing more and more shelf space to them, he has given up asking. But the fact is that Klemola – and many of the other earlier authors – were not entirely wrong. They were almost always working from a partial picture, but often the piece that they were seeing was not incorrect. It was simply incomplete. Read with an understanding of the larger picture, what these older researchers have to say can still provide valuable information. The same is true for owners and breeders who may not have the same grounding in the latest scientific theories. They still have the potential to be valuable observers. It is worth being open to what they have to say, without being excessively concerned about the “correctness” of how it is said. At the moment terminology – particularly the terms we use when talking about white patterns – are in a state of transition. We are struggling with words that do not completely fit our present understanding. I hope to tackle that in more detail in a future post. It is worth remembering, however, that the real reason for adopting a consistent set of terms is so that we may all communicate more clearly with one another. It may take a little more effort, and perhaps a few more words (and patience) than it once did, but that is ultimately the goal. It occurs to me that in my last post, I linked to an outdated image of the cover of the upcoming book. I was very fortunate to be able to include several images of the manchado Polo Pony, Vasco Piskui, in the upcoming volume. The photographer, Alice Gipps, had such wonderful, clear images of this rare pattern that I had to put him on the cover. An image of his other side, as well as a view that shows the topline origin of this pattern, will appear inside the book. Lining up high-quality images for the book is the focus of my work at the moment. I want to take full advantage of the color printing, as well as use the opportunity to present horses of unusual colors in the most flattering way possible. 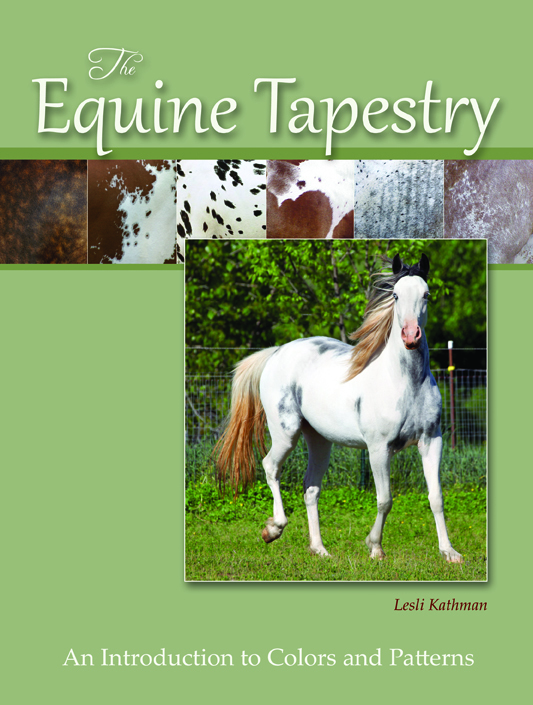 The blog here continues to be somewhat silent while I work on the next book, “Equine Tapestry – An Introduction to Colors and Patterns“. What began as a reissue of the front portion of Volume I, Draft and Coaching Breedsface in color has (predictably) taken on a life of its own. The original text touched on the as-yet-unidentified pinto patterns, with an attempt to classify the different categories of sabino-like patterns visually. Since that time, quite a few more pieces of the puzzle have fallen into place, and that has lead me to do a major overhaul on that material. One of the things that became clear to me with this new information was that the way I personally organize my files was leading to blind spots in my understanding. I have mentioned before that a huge part of my research involves massive notebooks with images and pedigrees. Because I am a visual learner, sorting things this way helps me make connections that I might otherwise miss. I have organized information in notebook pages like these for more than 20 years. Soon after I began, I started sorting the information by breed. Because so much of my interest centered around which colors were present in which breeding population, this made sense. What I began to suspect, working on the new book, was that I needed to rearrange some of my notes by color groups, rather than by breed. The previous structure was great for seeing how some of the louder sabino patterning arose in the Arabian breed. Seeing how that worked convinced me that the louder horses were some kind of new mutation, and not just a more extensive expression of the existing “flashy white” in some lines. 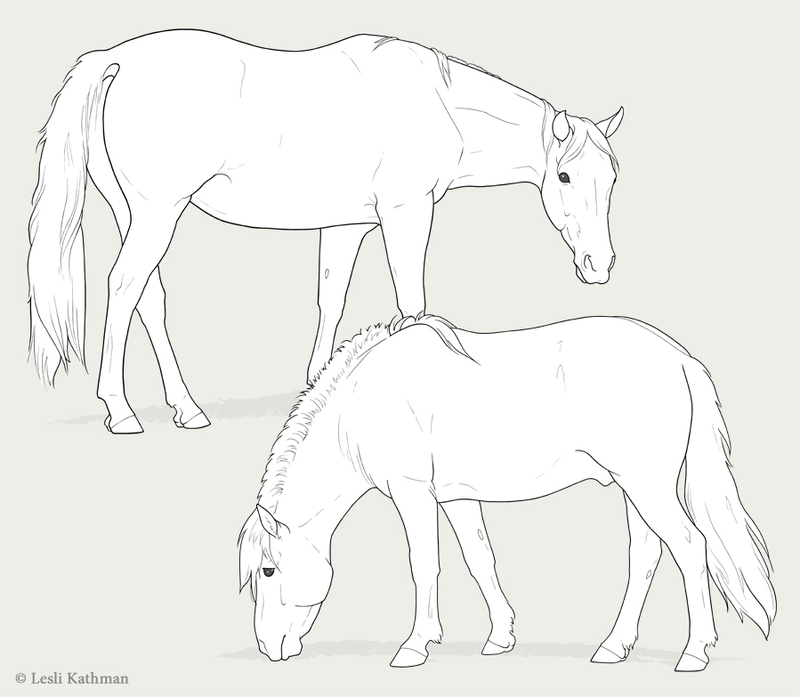 Laid out in a breed-centered notebook, it was clear how these louder horses – horses like Rhocky Rhoad – might come from flashy families (like Khemosabi), but their (numerous) relatives did not generally look unusual, while their own descendants most certainly did. But this same structure made it harder to make connections about the colors themselves. 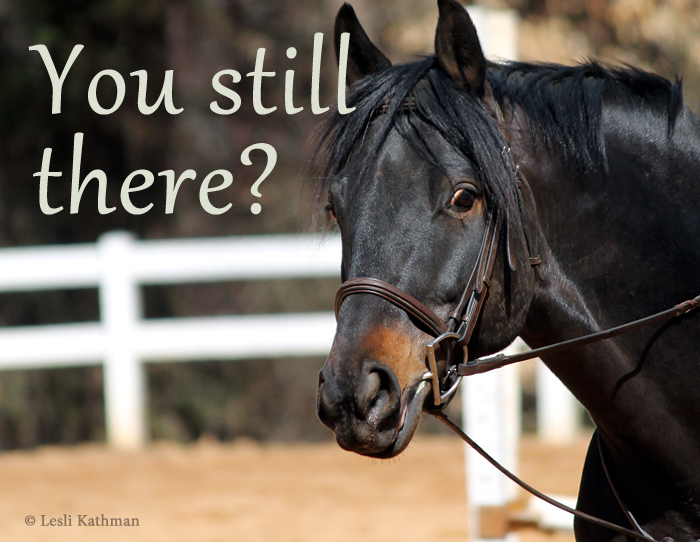 The sheer volume of information – I have thousands of horses on file, and many times that number waiting to be included – made those connections more dependent on my working memory. Writing more has meant less time for musing, and with it the chance that I would make those mental jumps. When recent papers made it clear that my hunch about horses like Rhocky Rhoad were correct, I decide it was time to set up a parallel set of notebooks for the pinto pattern categories, starting with the W-series (W1-W20). I was hoping this would give me better insight into how the patterns within that group – the group previously called “dominant white” – worked. With luck, I might stumble upon the best way to present this very varied, and not-entirely-helpfully-nameed group in the new book. I now have all twenty of the known W mutations, along with images of every known or suspected carrier, in a single notebook. The first thing that jumped out at me was something that has been a bit of a hobby horse for me for some time now. That was how many of these lines involved blue eyes. Of the twenty families, six have blue-eyed individuals. In some cases, like the W5 family member Sato (above), just have a blue segment. Others have a full blue eye, or even two blue eyes, thought that last is actually pretty rare. This is not surprising to anyone who has looked at historical records of white-born horses. Blue eyes are not infrequently mentioned. They are mentioned in connection with some of the old European studs that previously bred white-born horses. Early researchers also comment on their occasional presence. Nowadays, a search on the internet will turn up any number of commenters that will tell you that this “obviously” means the horses carry a splash pattern. You can even find those who will assert that no KIT mutation ever produces blue eyes in a mammal. That was part of why I included the image of the panda German Shepherd a while back. She has a newly-identified KIT mutation, and she most certainly has blue eyes. The common theory in horses is that these W-series horses must have a splash mutation as well. And they may. Certainly there are far more mutations for white patterning than previous expected. I have long thought that the numbers of blue eyes on the dominant whites, particularly among the founder horses (ie., the horse that carried the initial mutation) were just too high for them all to happen to have a splash mutation as well. I did not have an exact number, though – just a sense that it was high. But the new sort gave me a number – six of twenty. That’s a lot, especially with breeds where there is no evidence of the presence of the one splash pattern (classic splash, SW1) known to remain cryptic in its heterozygous state. The other “new” splashes are dominant mutations, and a good bit more obvious in terms of phenotype. 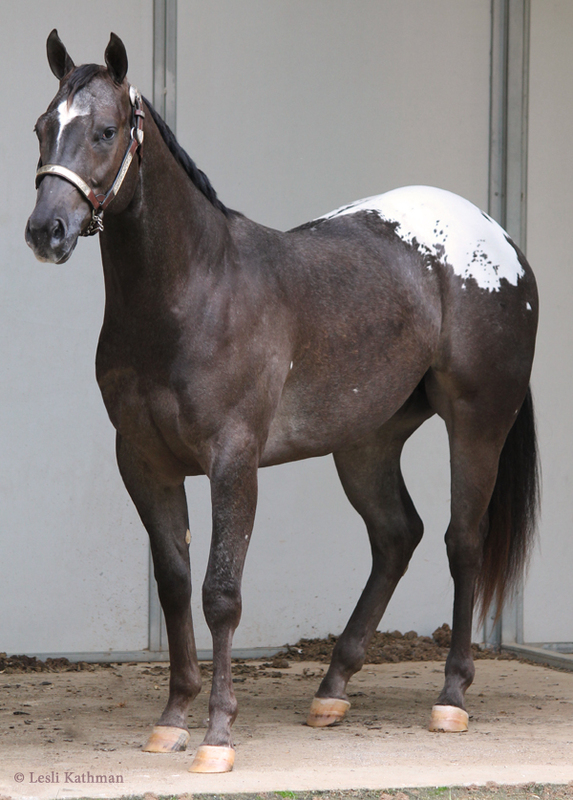 What is interesting is that the one horse that is often asserted by online commenters to “surely be a splash” is the well-known Arabian stallion Khemosabi. This is based on the fact that he has multiple blue-eyed descendants. What became clear as I resorted these records was that yes, he does have a number of blue-eyed descendants. However, all those in my files are also members of the two W-series mutations that occurred in his line. One would expect, if Khemosabi carried a splash mutation (at least, as we currently understand the pattern), it would appear in more than two lines. He did, after all, sire over 1,250 foals. Finding it in two lines, which also just happen to be those that have formally identified white spotting mutations, seems to suggest that the blue eyes are part of the pattern and not some additional inherited trait. There are caveats to this, of course. Blue eyes are notoriously underreported. When I began to suspect that the louder sabino expressions in Arabians were new mutations, I printed out the markings files for the families where they occurred. So in my files are the marking diagrams for all the first generation Khemosabi descendants. It is quite possible that there are horses in that group with blue eyes that were not part of the registration records. 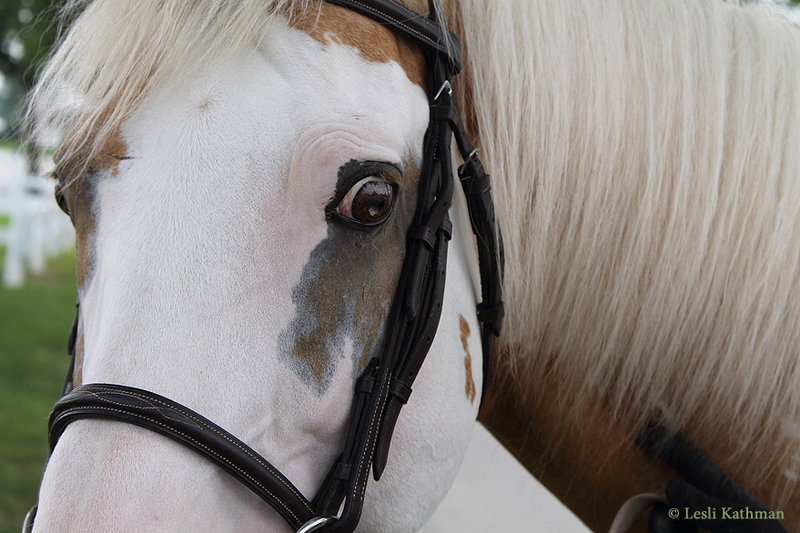 Blue eyes in Arabians are still considered a serious fault, so there is some incentive to overlook it when filing a description, especially for an eye that is not completely blue. (I am always looking for images and records of blue eyes in Arabians, if anyone has them, by the way!) I cannot also be sure that some of the other lines – the fourteen that are not included as having blue eyes – might not also have blue. In many cases, eye color is not mentioned at all, and there I have defaulted to the assumption that the eyes were dark. That is not the same as knowing the eyes are dark, though. 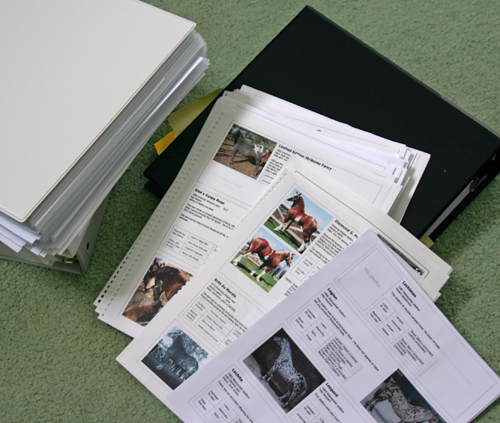 My next task is to assemble the even larger group of suspected dominant white horses into one notebook. When that task is complete, I should be able to do another post about the status of the blue eyes in that group as well. Well, that and get a little closer to a finished book! I have been busy with work on the upcoming book, but I wanted to share some good examples of the color shifting found in some horses with the Leopard Complex (Lp) mutation. Appaloosa shows are less common than Paint shows in this area, so I was glad when one was scheduled for the Garrison Arena in nearby Clemson, South Carolina on a weekend that I was free to attend. 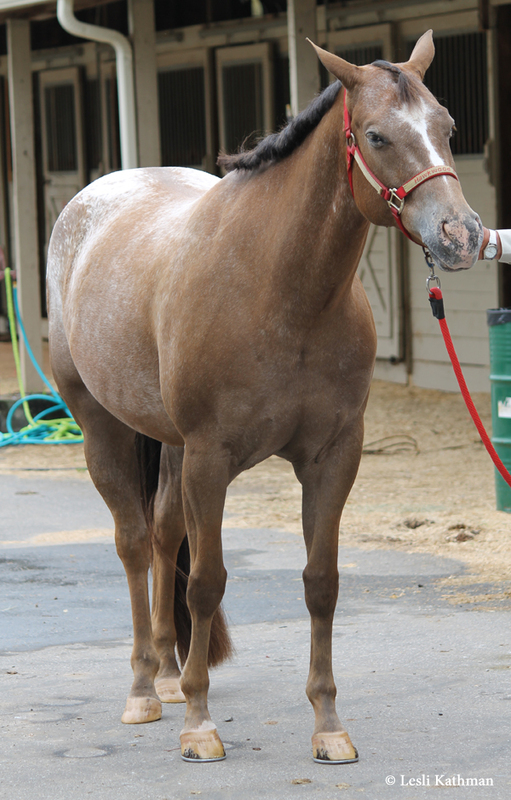 The mare above is a shade of warm pewter gray that is very common in appaloosas. I would expect her to test black (E_aa) and negative for dilutions, just as my mare does. What is interesting is that not all black appaloosas end up looking like this. At the same show, there was a jet black leopard. Just why the color shifts on some, but not all, is not yet known, though it does not seem necessary for there to be a true dilution gene present for it to occur. The change in this guy is more subtle. He might be mistaken for a sun-faded black horse, but look closely at his lower legs. They do not look black, nor do they have the reddish or yellowish tones that are more typical of sunburnt hair. Instead they have a dark chocolate tone. In my experience, that “off” color is even more noticeable in person – especially in natural light. That brings me to the last horse. This mare may well be chestnut, but I would not be entirely surprised if she was in fact black-based. Her odd tone is present to an extent in this photo, but it was more obvious in person. She would certainly be an interesting one to test. I would also add that all three of these horses are probably homozygous, and the last two images are good shots to show how homozygous horses have shell-colored hooves on their unmarked feet. My own mare is heterozygous, and as her images (linked above) show she is actually more diluted in color than the first two of these. Whatever causes the shifting, it does not seem to be influenced by whether or not the horse is homozygous for Lp. I think I need to work on final book edits every spring, because it seems to guarantee that a paper will come out within that time period. Animal Genetics has a short communication out with three new KIT mutations and one new PAX3 in horses. There are also two papers out on KIT patterns in dogs, which is new. 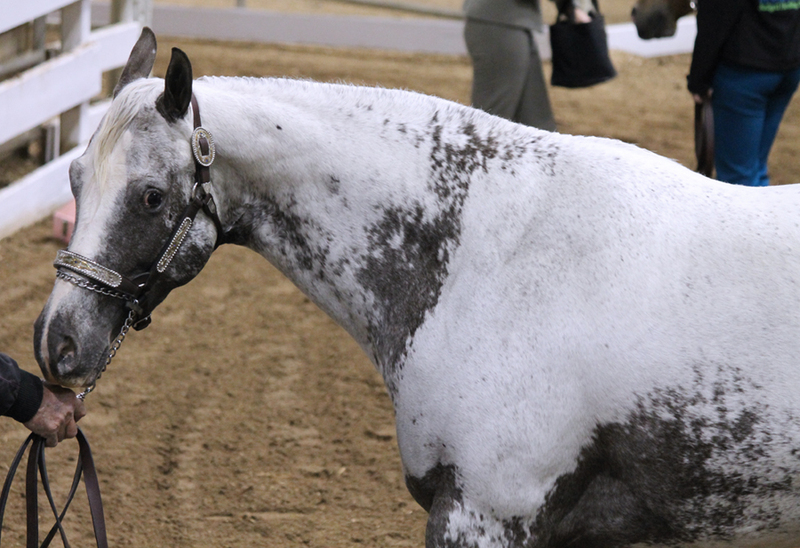 Before this, the piebald patterns in dogs had been mapped to MITF, which in horses is the other site for splash white. 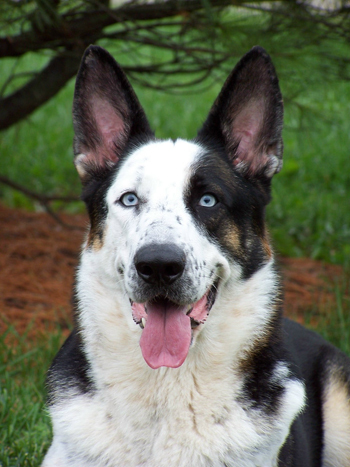 The picture above is the German Shepherd that carried the de novo mutation. (I must give a special thank you to her owner for allowing me to include it here.) I had intended to put together a longer post on this pattern, known as panda, because it touches on the subject of blue eyes in KIT mutations. She obviously has blue eyes, and her owner confirmed for me that some of her descendants have had a blue eye or blue segments in their eyes. This follows the pattern that I have seen in the historical records of some suspected Dominant White horses (also presumed to be KIT mutations). Blue eyes do seem more common in the originators, and then appear to occur sporadically – often in a less pronounced degree – in the descendants. Interestingly enough, the MITF mutations are not associated with blue eyes. In fact, this family of Shepherds was the first instance I noted where blue eyes in dogs were linked with a form of white spotting so I was particularly happy to see the mutation formally identified. What is interesting about the new equine discoveries is that they really do not fit neatly into existing naming categories. The KIT mutations have been assigned numbers in the “W” series, but at least one appears to be subtle white-booster rather than a true dominant white. I had been urged by a couple of researchers, as I got close to my publication date, to avoid the use of the term “sabino” and just use “white spotting”, and I see now why. I suspect this will become more complicated as time goes on and more mutations are identified. One thing does seem clear, and that is that several of these sites mutate often – apparently in ways both large and small! Just as I did with the book last year, I’ll be updating the text to reflect this new information for the new full-color supplemental book. I had feared there might not be much new information, but this coupled with some of the things I have been researching in the last few months should make for a lot more content as well as more abundant (and colorful) images! This is probably the longest this blog has gone without a new post, and I want to thank all the readers who have stuck with me. I have not dropped off the face of the earth, but I have gotten sucked into alternate universe of preparing a book for press. I had hoped to continue posting here at least intermittently through that process, but juggling the demands of the book and the studio have consuming most of my time. If I am going to make my summer deadline for the new book, I am going to have to put the blog on hiatus for the next month or two. 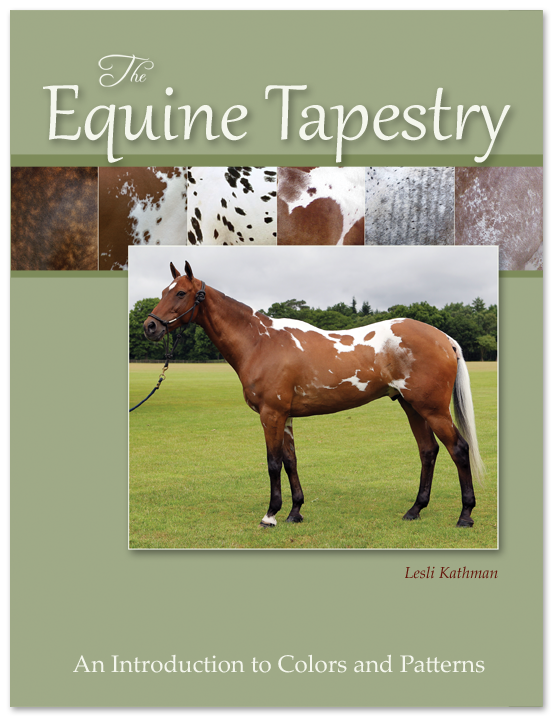 The upside is that the book that will come out this summer, Equine Tapestry: An Introduction to Colors and Patterns, has grown in scope. I originally intended it as the wished-for color version of the first volume, or more accurately, a color version of the first half which talks about the different colors and patterns. (The second half, which covers the individual breeds, had primarily black and white historical photos.) I also thought I could take the opportunity to expand some of the sections on the oddities, most of which were just mentioned in passing. I was particularly interested in expanding the entries on belton patterning, since I have come to believe there is more than one kind, as well as the various kinds of mismarks and somatic mutations. And of course, I could use more photos since color opened up the possibility to communicate so much more information. This opened the way for the “mission creep” that turned the original Equine Tapestry into a four-volume set! Well, now five volumes, since this new book is a supplement to the series. It started with the belton patterning, and the fact that the outlines I used in Volume 1 were not really suited to showing the patterning. I needed a horse with a more clearly turned head to show the full face. I also thought that if I was going to do that, I might as well finish up the revised pony outline, too. The pony used in Volume 1 proved problematic because I drew him with long hair, making him a poor choice for any illustrations that communicated information about pattern outlines – which is most of them. So new outlines were drawn. The new outlines encouraged me to think about gaps in the information in the original book, and before I knew it I had plans for more charts, and a longer wish-list of photos to include – and much less time for managing the blog or even my personal correspondence. My goal for the next few weeks is to draw some lines on the scope of this new book so I can accurately assess my publication deadlines. Once I have that done, I’ll better know when the blog is likely to go back online. I will still be posting intermittently on the blog’s Facebook page, since I can usually do that fairly quickly. (I am an avid user of my personal Facebook page, since that allows me to keep some contact with friends and family even in the most obsessive stages of book writing.) Rest assured, though, that it only seems like I am being silent! And once the book is put to bed, I will be chatting here again. In the first volume of the Equine Tapestry series, I talked about two cases of unexpected dilute foals. 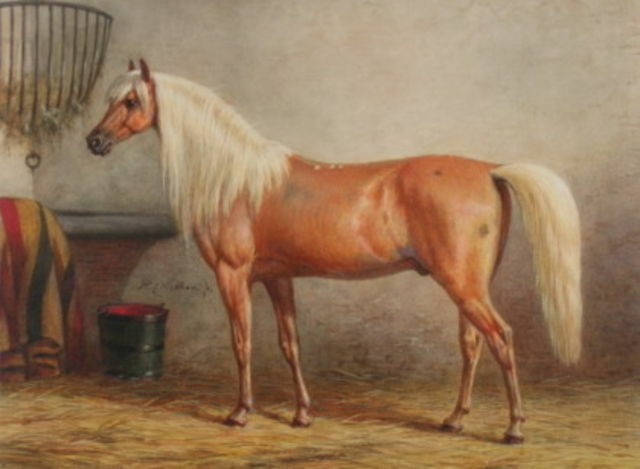 The first was a Dutch Draft filly, Marinka van’t Heereind. The second was the Alt-Oldenburg filly Gaja. There is further information in the upcoming volume that covers the light breeds, where similar horses have been born to purebred Arabians. More recently, an entire family of Morgans has been documented that appears to have this same as-yet-unidentified dilution. Laura Behning has put numerous pictures up with photographic pedigrees on her Morgan Colors site. I highly recommend visiting her page! There are also photos of the Arabian family with the similar dilution on the New Dilutions website. The color has been called “light black” for lack of any better term, since it appears to dilute the black hair more strongly than the red hair. Because both the Morgans and the two Arabians are closely linebred, and because none of the parents are unusual in color, it is believed that this might be a recessive dilution. It should be noted that these horses have all tested negative for the known dilutions. In appearance, many have looked like the Laura Behning’s Morgan mare, Positively Charmed (“Charli”), who is pictured at the top of this post. Charli is a tested smoky black with the silver dilution. That particular combination produces a body color like milk chocolate, while the skin tends to have a purplish cast. Many of these horses also have paler eyes, but I have not yet seen a silver smoky that had eyes quite as pale as those seen in this Morgan family.